Besides the familiar design on two of the devices, Asus went all out with its talk of what it calls "ZeniMoji." I kid you not — pulled straight from one of the press releases: "ZeniMoji is a fun new ZenFone 5 feature that lets users animate cute avatars using their own voice, facial expressions and head movements. Uniquely, ZeniMoji avatars can be used in video chats or live-streaming, as well as in text chats, to make them more entertaining." Yeah, I had a good laugh, too. Like most of these types of posts, I'll break this down by device so that you can easily reference what you want to know. Let's get started. The flagship of the group, the ZenFone 5Z (yes, I say it "zed" in my head) sports the fancy design, complete with a notch at the top of the slim, bezel-less 6.2" screen. Those specs are all top-tier, especially the Snapdragon 845 and camera. The latter is notable with its extra large pixels on the main sensor, which worked out decently well in testing. We'll have to get the phone in for a full review to put it through its paces, though. Another amazing thing is that the ZenFone 5Z will start at $499, according to Asus. That's incredible, since it ticks all of the boxes for a flagship. On paper, it looks like companies who typically compete in this price bracket, like OnePlus, will really have to wow us later this year. 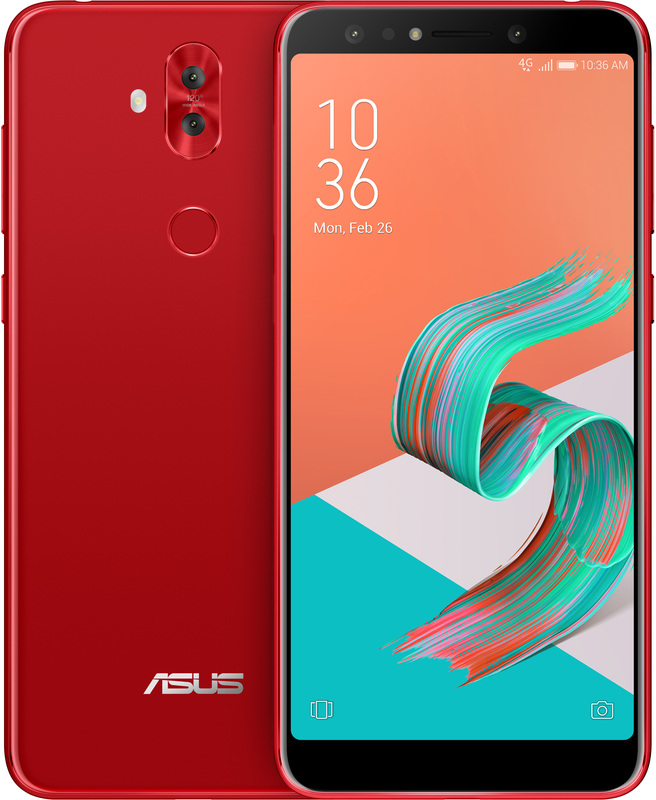 Barcelona, Spain and Fremont, California, February 27, 2018 — ASUS today announced the all-new ZenFone 5Z, an exciting next-generation high-performance 6.2-inch dual-camera smartphone that harnesses the power of artificial intelligence (AI). The ZenFone 5Z delivers the ultimate smartphone performance at a very affordable price. 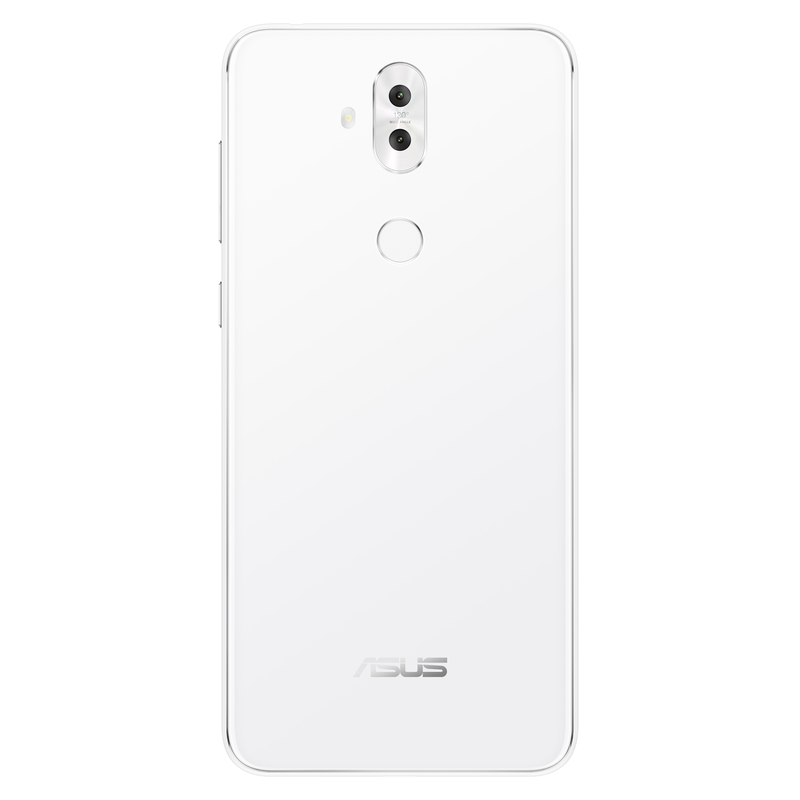 The ZenFone 5Z can be unlocked in just 0.1 seconds using face unlock, or 0.3 seconds using the rear fingerprint sensor, and the integrated NFC capability allows the ZenFone 5Z to be used securely with Google Pay™ . 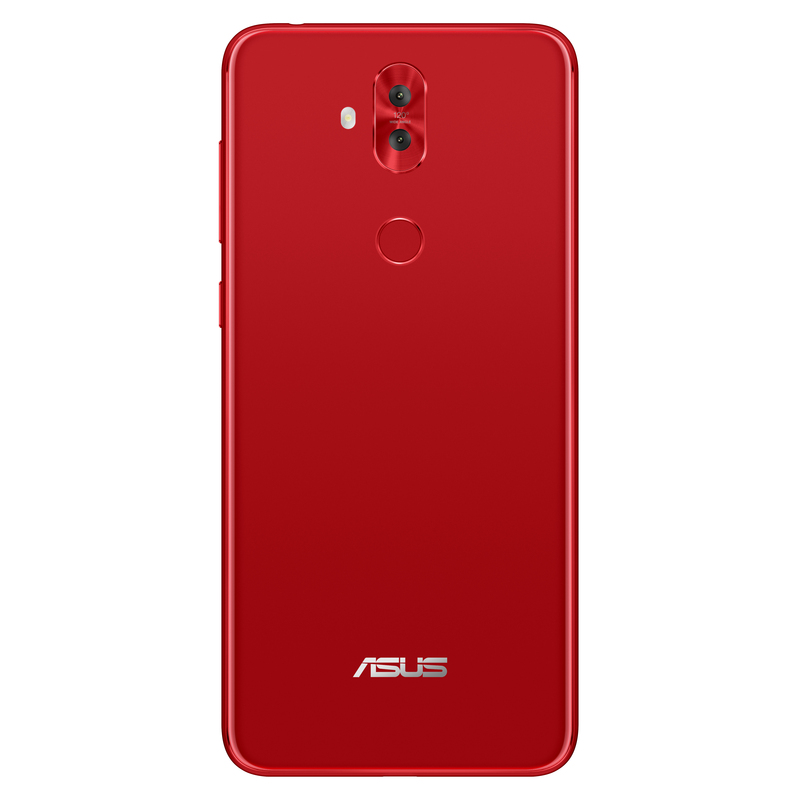 ASUS ZenFone 5Z (ZS620KL) will be available starting at $499 USD. Please contact your local ASUS representative for further information. 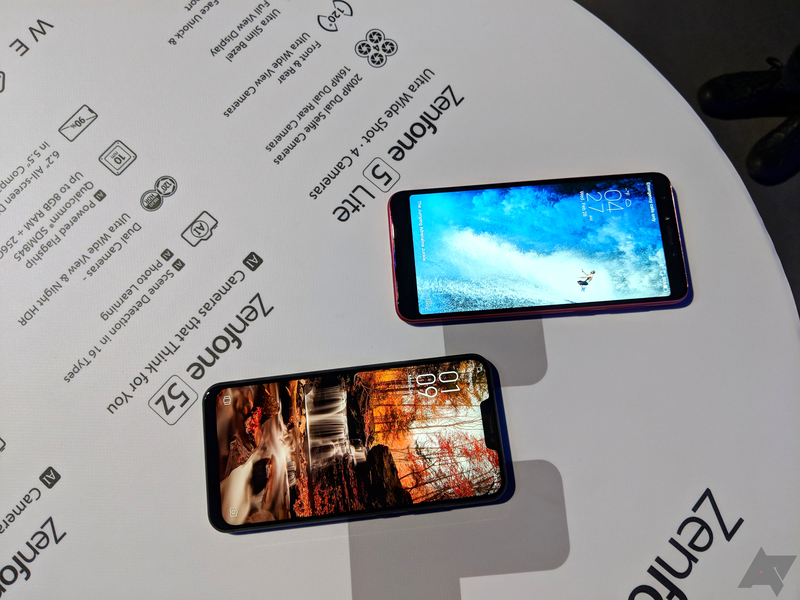 Other than a few differences, the ZenFone 5 is almost exactly the same as the ZenFone 5Z. It takes a step down to a Snapdragon 636 and one variant has less RAM, but that's basically it. I'm told that the software experience also differs slightly between the two phones, but I'm sure we'll get more information at some point. Pricing was not included in the press release for this phone, but I'm going to guess that it will be very competitive. 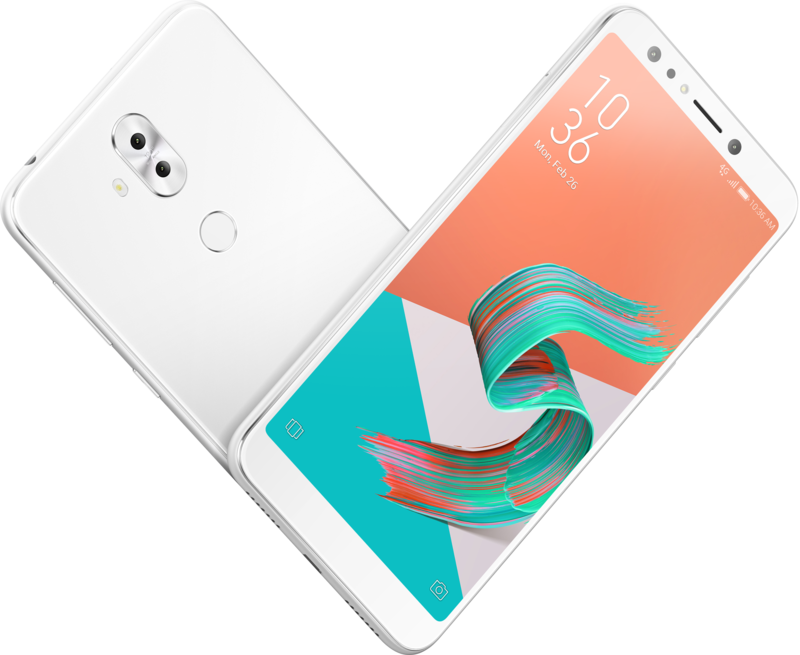 Barcelona, Spain and Fremont, California, February 27, 2018 — ASUS today announced the all-new ZenFone 5, an exciting next-generation 6.2-inch dual-camera smartphone that's the first ever ZenFone to harness the power of artificial intelligence (AI). The ZenFone 5 invigorates mobile photography, giving users a simpler, smarter way to capture and share every magic moment. The ZenFone 5 is the first smartphone available worldwide to be powered by the latest Qualcomm® Snapdragon™ 636 Mobile Platform, designed to support advanced photography, AI capabilities, long battery life, and fast connectivity. The ZenFone 5 has an intelligent dual-camera system that adapts and learns, delivering perfect photos every time. 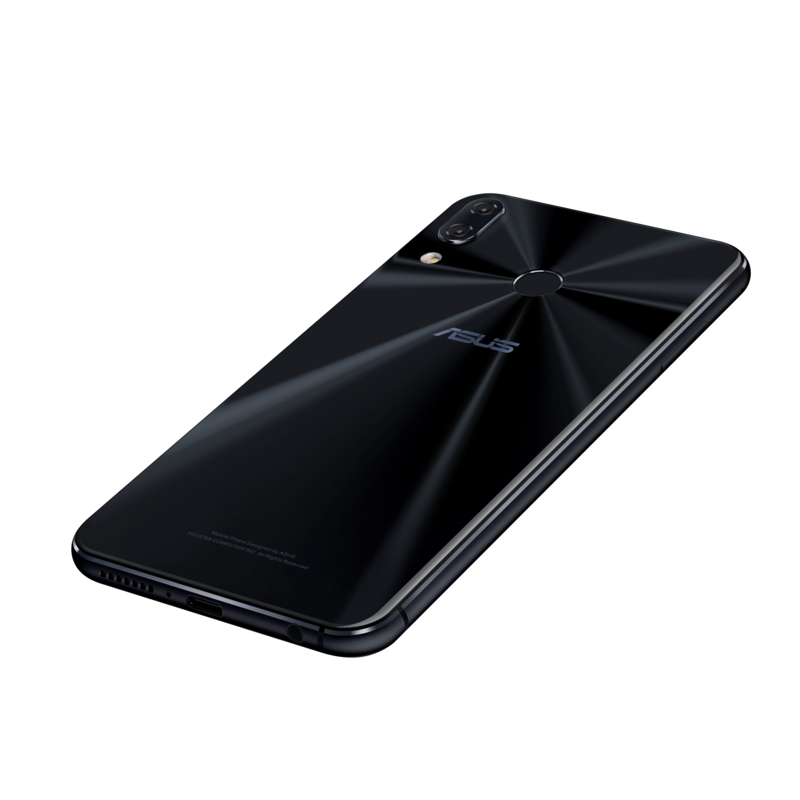 With its flagship Sony® IMX363 sensor, 120° wide-angle secondary camera and AI-enhanced camera features — including AI Scene Detection, real-time portrait effects, AI Photo Learning and real-time beautification — the ZenFone 5 encourages creativity and frees the user to concentrate on the subject rather than the camera. 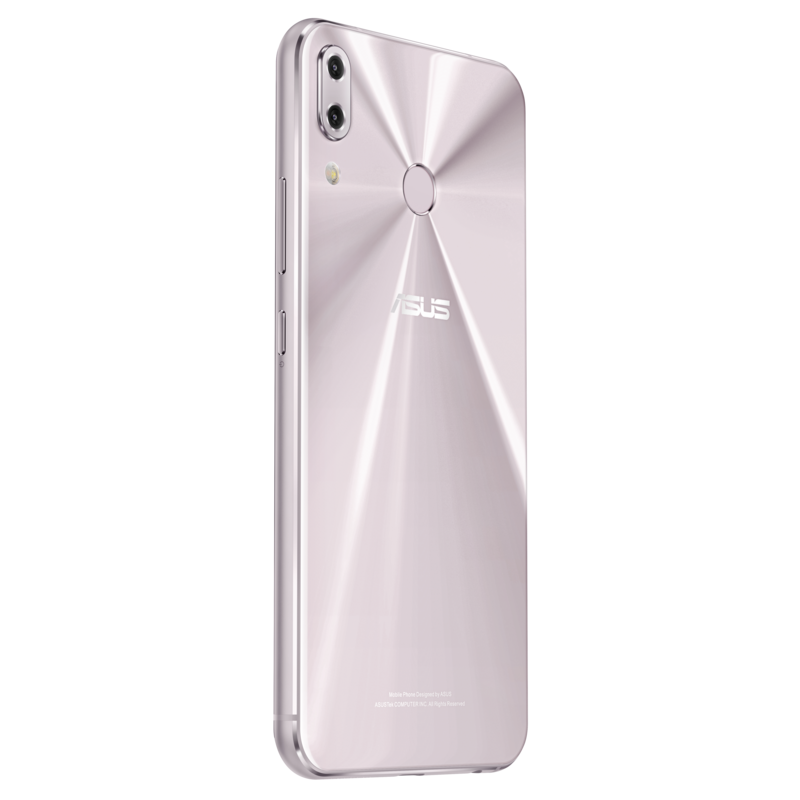 Crafted to perfection with premium materials, the ZenFone 5 has a strikingly beautiful ultraslim-bezel, all-screen design, featuring a stunning 6.2-inch display with a 90% screen-to-body ratio in an glass-covered body that's as small and compact as most standard 5.5-inch phones. 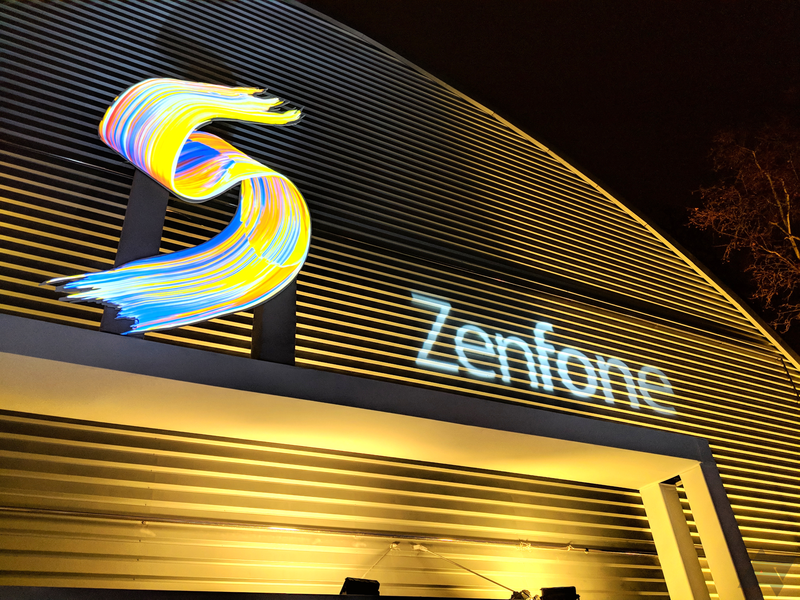 The intelligent dual-camera system in the ZenFone 5 uses the flagship Sony® IMX363 image sensor, with large 1.4µm pixels and a bright f/1.8 wide-aperture six-element lens that captures up to 5X-brighter and clearer photos in low-light conditions, as well as enabling dramatic Night HDR shots. The 120° wide-angle secondary camera has a field of view that’s 2X wider than a standard smartphone camera, for capturing more expansive landscapes, more natural group shots, and easier photos in cramped spaces. For truly intelligent photography, the ZenFone 5 is always evolving to constantly improve photos. The special AI-enhanced features in the ZenFone 5 adapt and learn, delivering perfect photos every time and creating a truly personal experience for the user. AI Scene Detection: AI Scene Detection takes the guesswork out of photography. The ZenFone 5 uses the power of AI to rapidly analyze the subject and match it to one of its 16 scene types, optimizing the camera settings for almost any kind of shot from sunsets to pet pics. The result is effortlessly perfect photos, anytime and anywhere. The ZenFone 5 uses advanced big-data analysis to constantly enhance the scene-detection AI algorithms, for ever-smarter photography. AI Photo Learning: AI Photo Learning lets users teach the ZenFone 5 how they like their photos to look. It then automatically adjusts the camera settings for future shots — so photos will always reflect users’ unique style preferences. Real-time Portrait: The ZenFone 5 lets users take professional-looking close-up shots of people or objects, without the hassle. Real-time Portrait with AI technology ensures that the main subject stays pin-sharp, while the background is given a sense of depth with a graduated bokeh effect — created using depth information intelligently analyzed from the subject — for a beautifully artistic photo. Real-time Portrait uses both cameras simultaneously to capture gorgeous portraits and close-ups that make the subject stand out with a real sense of depth, rivaling photos taken with high-end DSLR cameras. Real-time Beautification: The ZenFone 5 gives users their own personal beauty consultant in their pocket. AI Beautification intelligently reads 365 facial points and applies personalized beautification based on an analysis of over two million possible enhancements. It works in real time with any face — regardless of age, shape, skin tone or gender — and produces amazing natural-looking results. It works perfectly in live-streaming video, too. 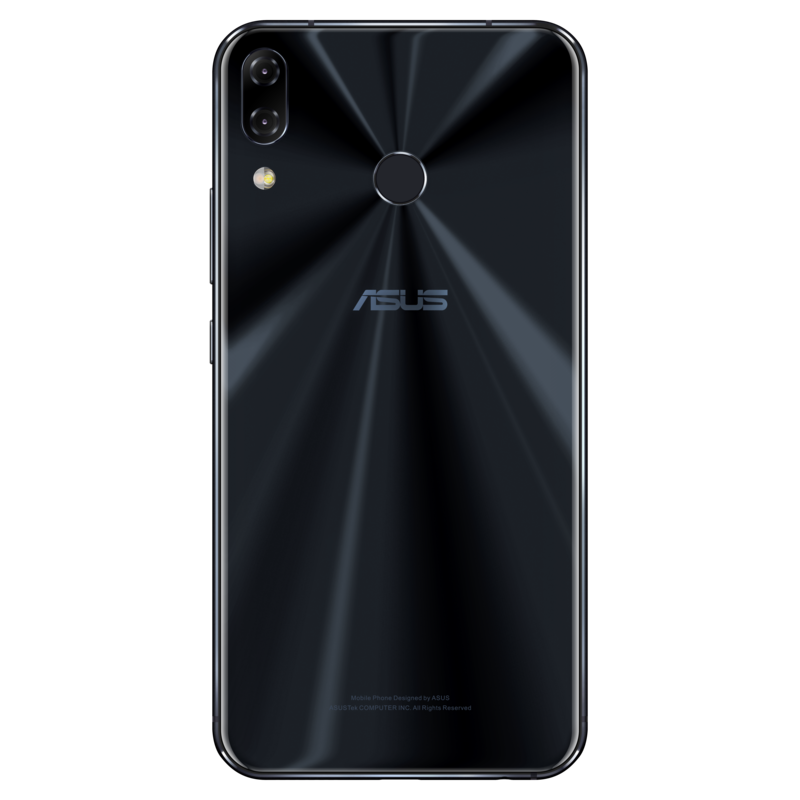 Pro mode: The ZenFone 5 includes the powerful Pro mode that gives users full control of all the camera settings, including white balance, exposure, focus, ISO, and an impressive range of shutter speeds from 1/10000 to 32 seconds. With its support for unprocessed RAW files, the ZenFone 5 is also the ideal choice for users who prefer to fine-tune their images using photo-editing software. 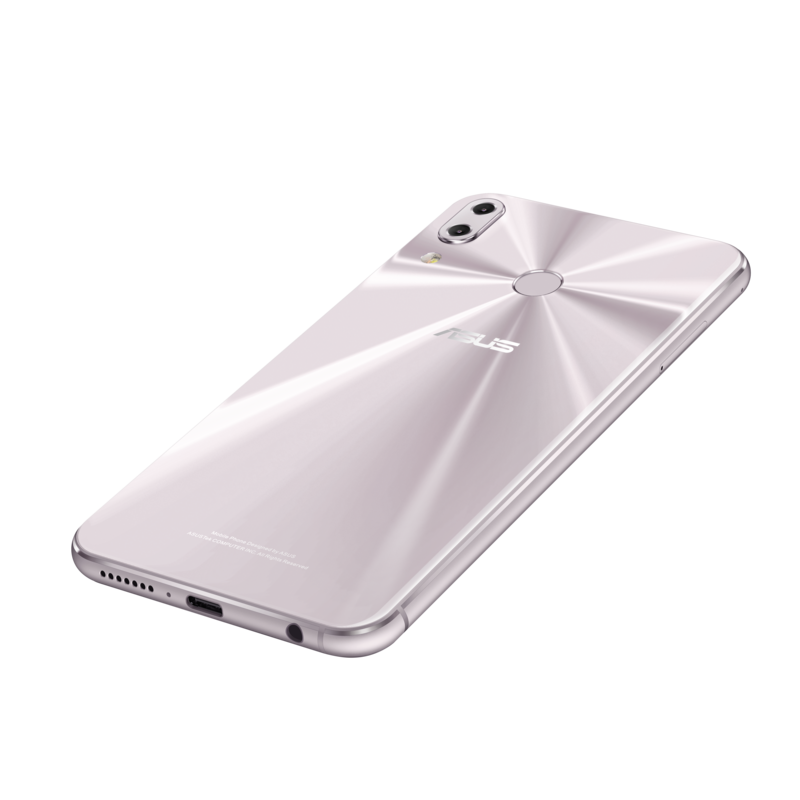 At the heart of the ZenFone 5 is the latest powerful Qualcomm Snapdragon 636 Mobile Platform, an advanced 14µm 64-bit octa-core system-on-a-chip (SoC) that delivers over 40%-higher CPU performance and 10%-higher graphics performance than the Snapdragon 630 Mobile Platform, while maintaining excellent battery life. 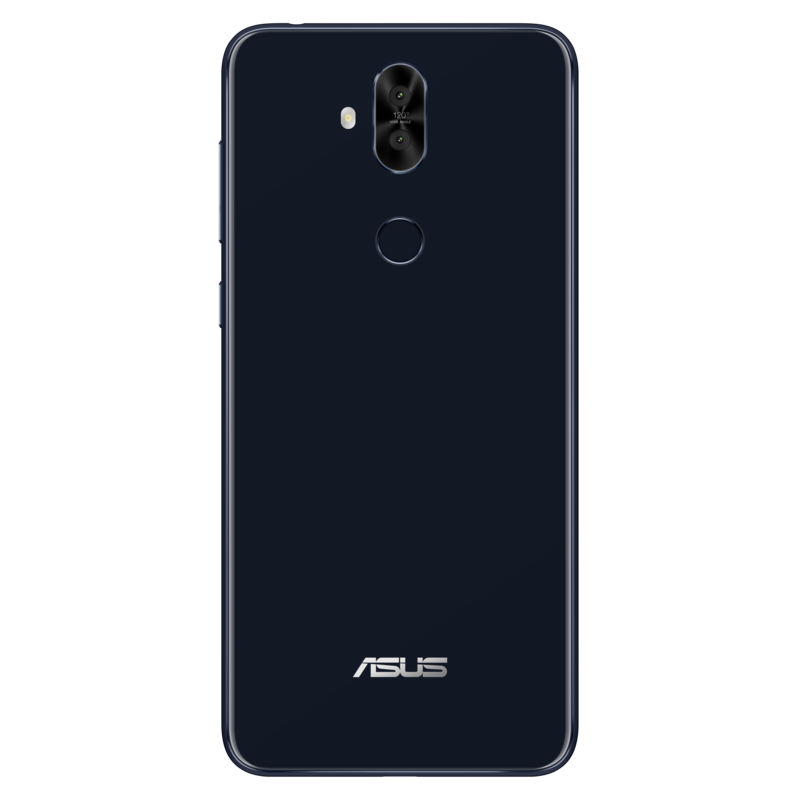 To deliver maximum on-the-go stamina, the ZenFone 5 has a high-capacity 3300mAh battery with ASUS BoostMaster fast-charge technology. The ZenFone 5 also introduces AI Charging to maximize the battery lifespan and provide total protection. AI Charging dynamically adjusts the charging rate by monitoring the user’s charging habits, slowing down the battery's ageing process. For maximum flexibility and superb call quality, the ZenFone 5 supports dual 4G LTE SIMs with Dual SIM, Dual VoLTE (DSDV) capabilities. This allows both SIMs to be on active standby, and also supports enhanced HD voice calls over 4G LTE on both SIMs. By using an ultraslim-bezel, all-screen display, the 6.2-inch ZenFone 5 is as small as most standard 5.5-inch phones. It’s the ultimate ergonomic design that not only lets users see more, but is much less bulky and is more comfortable to hold. The 6.2-inch Full HD+ all-screen display, with its 90% screen-to-body ratio and gorgeous 2.5D-curved glass, delivers a totally immersive visual experience. The ZenFone 5’s all-screen display also supports the DCI-P3 color space, with a wide color gamut that enhances color saturation for amazingly vivid image reproduction. For optimized visuals with natural-looking colors and good readability in any environment, the ZenFone 5 features intelligent display technology. This uses smart sensors to automatically adjust the display’s color temperature in real time according to the ambient lighting. 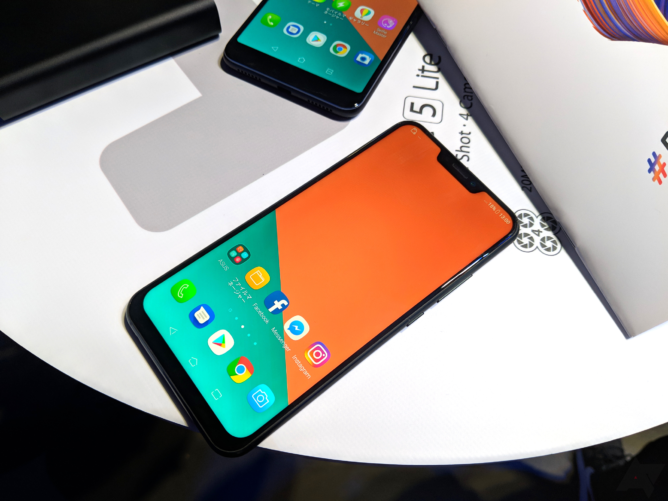 It also features Smart Screen On, which prevents the screen from turning off when the user's face is detected, avoiding the problem of the screen turning off when the user is reading content for extended periods without touching the screen. The ZenFone 5 has two five-magnet stereo speakers that deliver deep, rich and expansive stereo sound. These are driven by dual smart amplifiers that ensure maximum volume while intelligently protecting them from damage. The ZenFone 5 supports Hi-Res Audio files encoded at up to 24-bit/192KHz sample rates — 4X better than CD quality. For an enhanced listening experience right out of the box, the ZenFone 5 is supplied with a set of premium earbuds. The ZenFone 5 also supports DTS Headphone:X™ for 7.1-channel virtual surround-sound over headphones, for a truly immersive experience when watching movies or playing games. The power of AI enhances the entire ZenFone 5 user experience, with smart features that make the ZenFone 5 a truly intelligent companion. 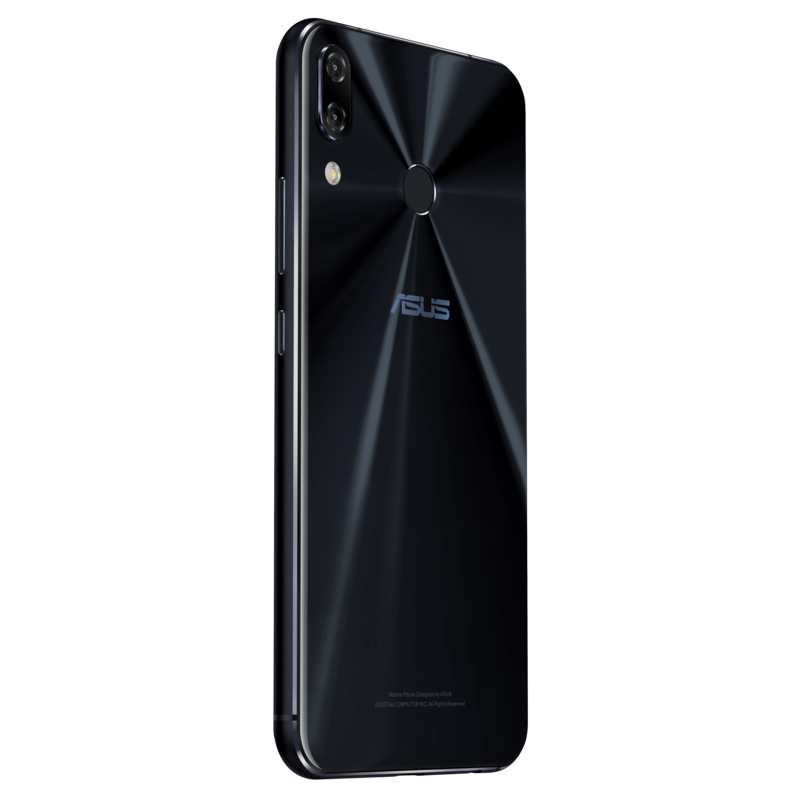 The phone can be unlocked in 0.1 seconds using face unlock, or in 0.3 seconds using the rear fingerprint sensor, and the integrated NFC capability allows the ZenFone 5 to be used securely with Google Pay™. 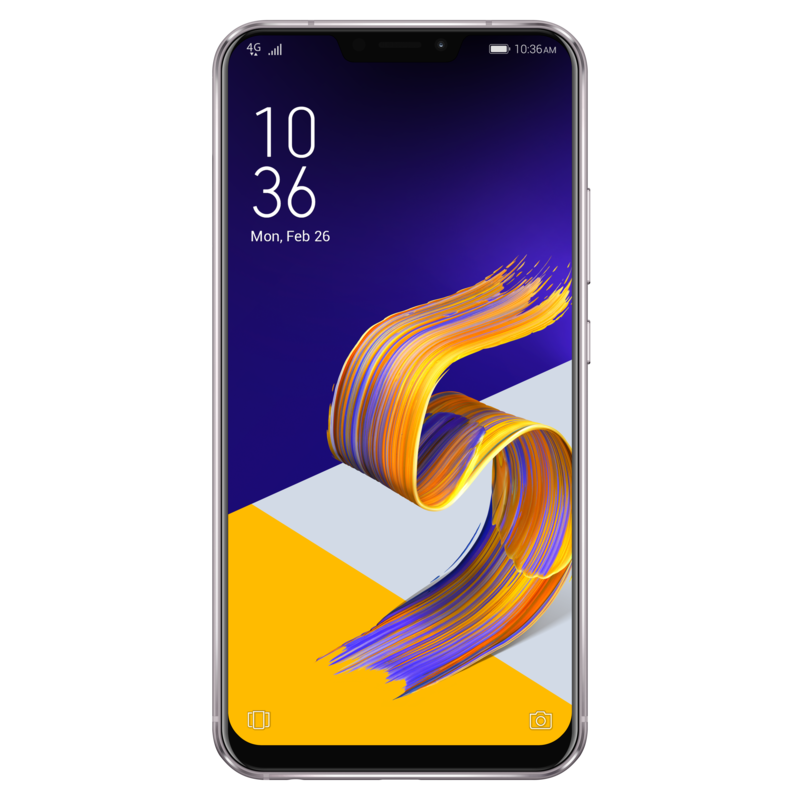 Finally, the baby of the bunch, the ZenFone 5Q (also called the ZenFone 5 Lite) takes a step away from its nicer brethren while keeping the small bezels and dual cameras. The biggest downside to it is, of course, the inclusion of microUSB instead of USB-C, but I imagine this decision was made to keep the price down. On that note, however, pricing is not specified in the press release. 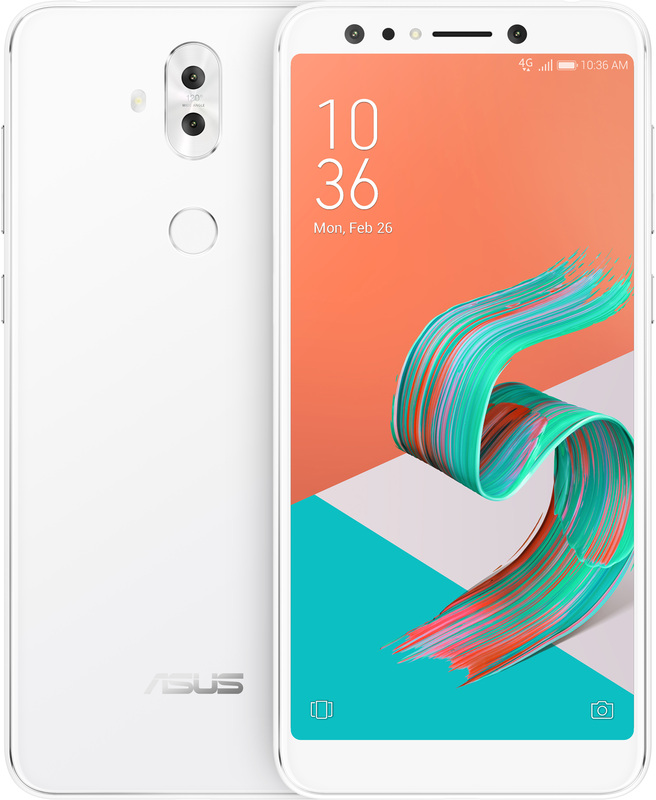 Barcelona, Spain and Fremont, California, February 27, 2018 — ASUS today announced the ZenFone 5Q (introduced onstage at MWC as the ZenFone 5 Lite, but available in the North America as the ZenFone 5Q), a stylish 6-inch smartphone featuring a premium true four-camera system with fully independent high-resolution and wide-angle cameras at both front and rear. The ZenFone 5Q is the perfect choice for true photo lovers who want to stand out from the crowd. And there you have it. 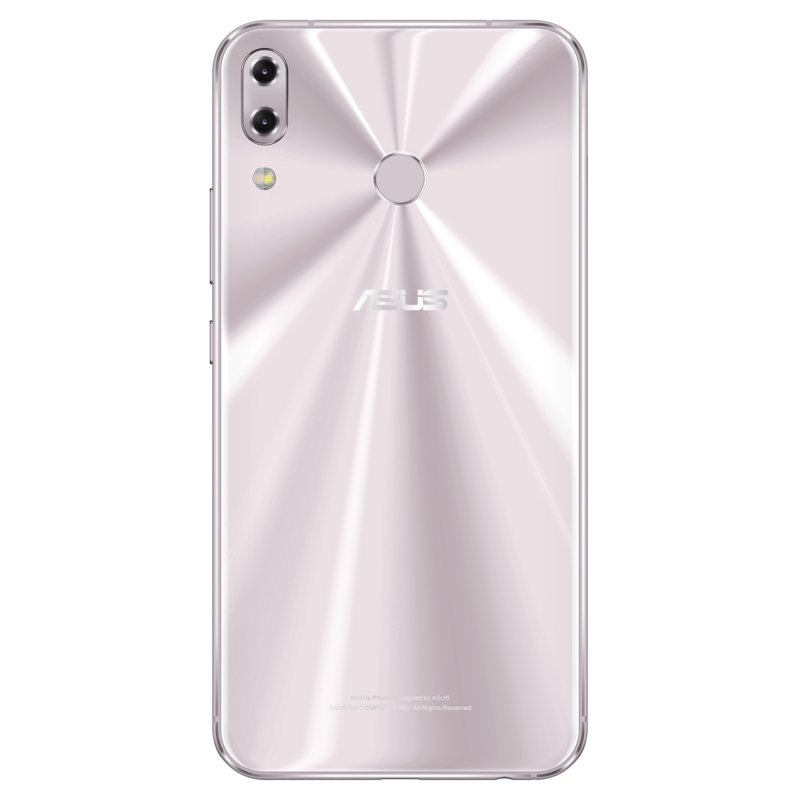 Asus looks like it has some good stuff for us in 2018 and I look forward to seeing how these three phones perform. 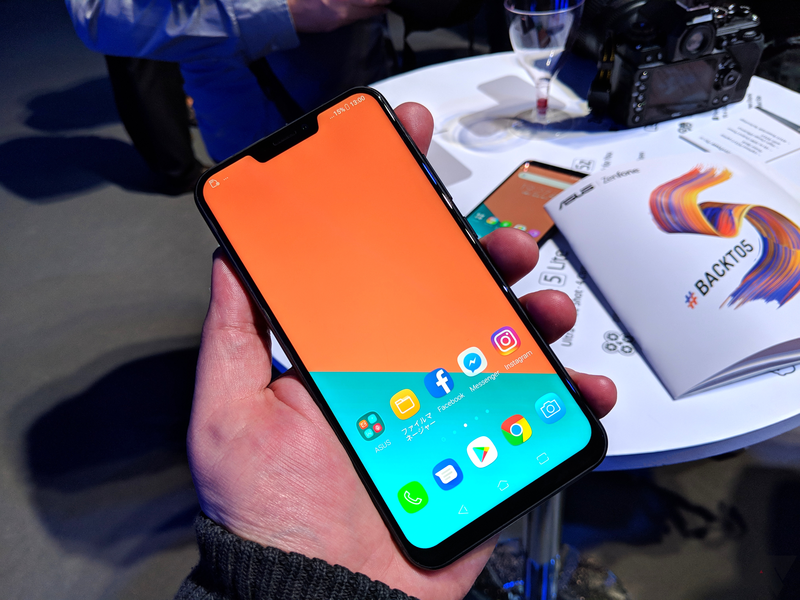 For now, you can expect a more detailed hands-on post to come soon and we'll hopefully get a shot to review the ZenFone 5 series in the next few months.